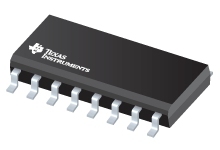 The TSS521 is a single-chip transceiver developed for Meter-Bus standard (EN1434-3) applications. The TSS521 interface circuit adjusts the different potentials between a slave system and the Meter-Bus master. The connection to the bus is polarity independent and supports full galvanic slave isolation with optocouplers. The circuit is supplied by the master through the bus. Therefore, this circuit offers no additional load for the slave battery. A power-fail function is integrated. The receiver has dynamic level recognition, and the transmitter has a programmable current sink. A 3.3-V voltage regulator with power reserve for a delayed switch off at bus fault is integrated.